Merger and acquisition (M&A) are interchangeably used in the business world and may seem to be the same for the average layman, but in reality, they slightly differ from each other. Acquisition is when one company (buyer) purchases another company (seller) and clearly establishes itself as the new company owner. Legally, the sold company would cease to exist, and the buyer absorbs anything that is related to the sold company. Merger is when companies, usually of the same size, both agree to enter into a partnership with the decision to go forward as a new company. Companies involved in mergers still remain separately owned and operated by the original business owner though. If you find your company as an M&A target, here are some things that you should keep in mind before signing on that dotted line. Not all M&A processes push through. Research and due diligence are requisite processes for any negotiation between companies. They are not obligated to push through with the M&A if they uncover issues that they don’t agree with. If you are at the receiving end of the M&A process, it would be in your best interest if you make sure that all of your documents are in order before agreeing to begin the negotiation process. If you are planning to sell your business, you should have your company valuation on hand before entering an M&A negotiation. Generally, an investor would closely examine more than one factor when it comes to valuation. These could include the hard facts and figures on how your company is doing from a financial perspective as well as possible future outlook. One of the most common worries during M&A negotiations is its effect on the current workforce of the smaller company. Realistically, massive layoffs or downsizing may occur; however, this can also be included in the negotiations. Overall, M&A can be pretty tricky and getting a corporate law attorney to help you out would be your best option for success. 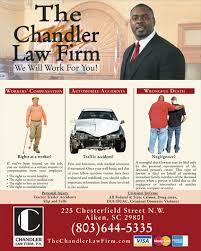 Let our attorneys at New York & New Jersey Law Firm help. Contact us now. You’ve set your mind to starting a small- or medium-scale business, but you haven’t decided if you should hire (and retain) a corporate law attorney now or just hire in the near future in case you find yourself requiring the assistance of one. You would need to have your business registered to make it legal and this is where a corporate law attorney can prove invaluable. 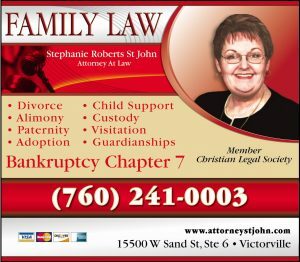 They can advise you of the legal paperwork, licenses, and permits that you need for the business. Contracts are an almost fail-safe mechanism in protecting all parties involved in the business. A corporate law attorney will look for any legal loopholes in the contract and negotiate on your behalf for any amendments to the contract as needed. The best way to start a business is to make sure that all the legal foundations are in place. A good corporate law attorney would be the best source of information. They can guide you through the legalities that need to be met by your organization. If you plan on partnering with another business, they can craft and review contracts to make sure that there are no hidden issues that might lead to future litigation. Keep in mind that the owner of the establishment or property that you are leasing is also out to make a profit. 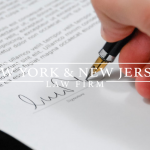 A corporate law attorney will closely study the contract details to make sure that you are signing your name on a legitimate contract. Corporate law attorneys have a network of resources to check if you are accidentally infringing on another’s intellectual property, which saves you from future litigation. A good corporate law attorney can look at potential employee issues and nip them in the bud even before the issue happens. They are well-versed with the law that governs employees and individual contractors. 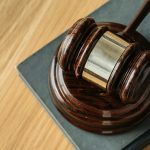 There are more reasons to why you should hire a corporate law attorney, but we don’t want to bore you with the details. 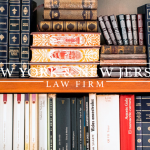 Contact us now at New York & New Jersey Law Firm to see how we can help.